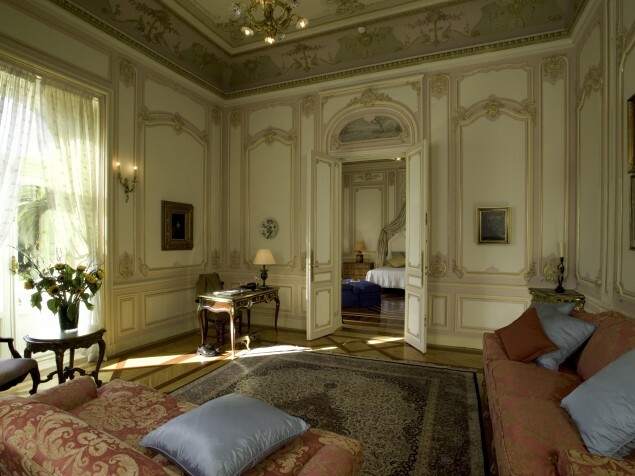 A19th century Portugese palace inspired by French romanticism yet highly expressive of its Lisbon locality. 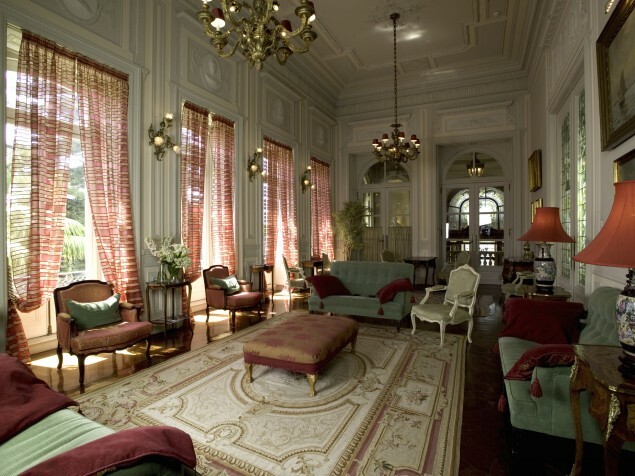 Pestana Palace, formerly Valle Flor Palace, was once home to a successful cocoa producer and member of parliament. The palace was originally designed in 1904 by Venetian architect Nicola Bigaglia and following his death in 1908, was completed by Portugese architects, Jose Ferreira de Costa and Ventura Terra. With their great eye both for architectural detail and interior decoration, they directed a team of talented sculptors, painters, masons and blacksmiths from across Europe and locally in Lisbon. 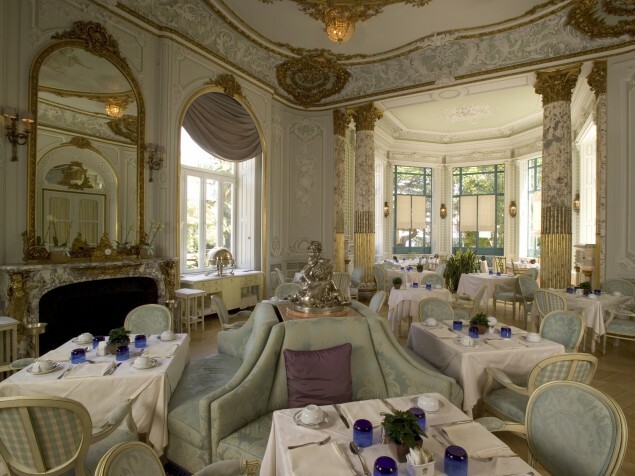 The style is reminiscent of the French Belle Epoque period yet it has its own distinctive identity in Lisbon. It is ornately decorated on the exterior with delicate carvings on the walls, roof parapet, and door and window surrounds. The approach to the palace is highlighted with intricate mosaic tile paving and the guest drop-off (“porte cochere,”) is accentuated by its carved parapet and Mediterranean iron gates. The interior spaces offer a variety of atmospheres. The romanticism of 18th and 19th century France is present in the design of most of the public areas. However, it is the contributions of the talented artisans that give the palace its unique artistic expression. Many of the ceilings feature murals and decorative patterns that are not replicated anywhere else in the world. The chapel features stained glass that was locally produced in Lisbon, in a design for which the Palace has the only commission. Throughout the palace walls are adorned in decorative glazed tiles, a product of Portugal that has successfully been produced since the 15th century. Pestana Palace is named for local Dr. Dionisio Pestana, who purchased the palace from the government in the late 20th century. 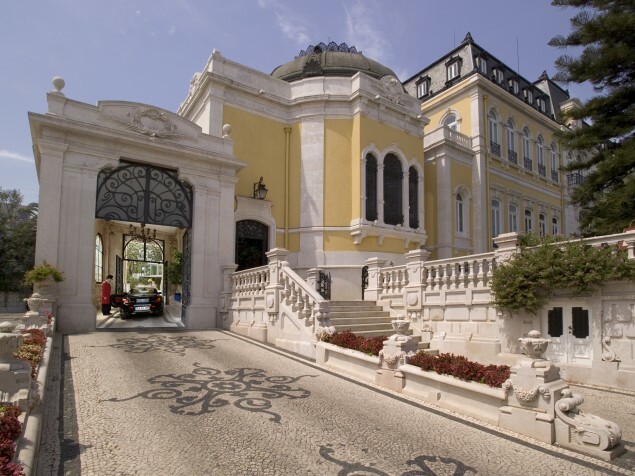 Pestana restored the Palace and in 2001 it debuted as a luxury hotel. Today it is a National Monument. 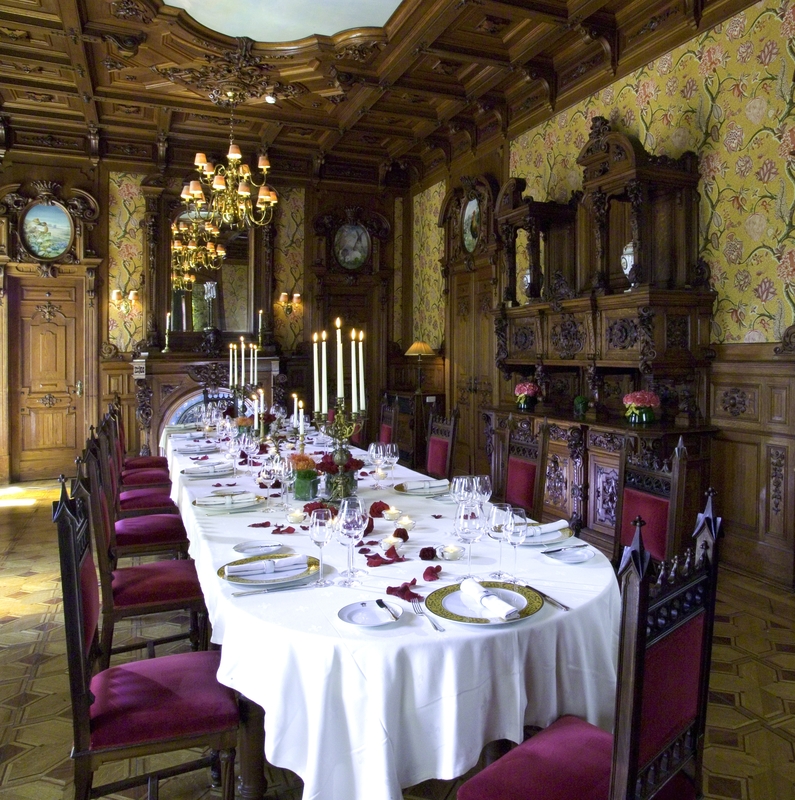 The palace features include its beautifully restored salons and ballrooms, dining room, and chapel. 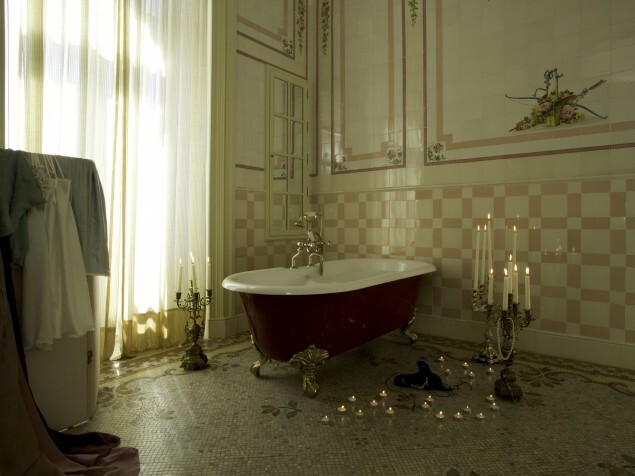 There are 194 guest rooms and suites, and a spa with Turkish bath. Meetings are held in extensive facilities located in the former palace coach house. Pestana Palace’s restaurant presents award winning cuisine set in historic surroundings, and offers a richly decorated, private dining room . 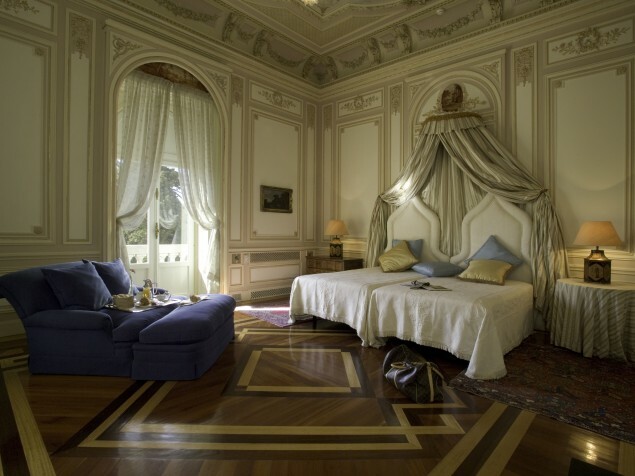 The architecture of Pestana Palace positively gushes with detail and artistry both on the exterior and the interior. While it is mostly reminiscent of late 18th and 19th century France, it has a wonderful Portugese aesthetic flavor to it, that only the local artists could create.